I got a new pair of running shoes last week: On “Cloud” running shoes. They are very light and would be classified as a minimalist shoe, but they do have some decent padding. 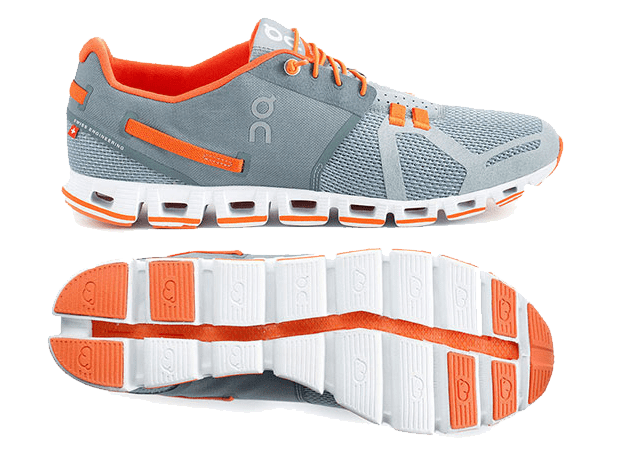 I’ve always run in a standard-type running shoe – shoes with a medium amount of padding, but in the past several years there has been so much variety in the market, with minimalist shoes becoming popular a few years ago, and now super-cushy shoes are getting the spotlight. So for my latest pair of shoes, I wanted to try something besides my standard shoe. A few of my friends really liked their minimalist shoes so I decided to try some, figuring I would ease into the new type of running by alternating between the Cloud shoes and my standard running shoes. Running in the new shoes the first time was great! First of all, these shoes are so light – they weigh almost nothing! I was expecting a really different feel because these shoes supposedly have less support and cushioning than my regular running shoes, but it was really comfy. The angle of the shoe is different, so I do have to change my running form to a more forward posture, with shorter strides. My normal running style is with pretty short strides, so there wasn’t too drastic a change form me, but the shoes felt really good. I ended up running 2 miles on that first run. The next day, my feet were a little sore. But it was a good kind of soreness, not like an injury or anything. The following day I was fully recovered and went running again in the Clouds and enjoyed the run even more. My third run was the best so far and I haven’t actually went back to my normal shoes yet. Today I am taking a day off from running, but I am planning on trying to run maybe three days, then one day of rest. We’ll see how that goes. 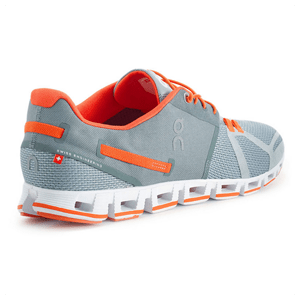 Overall, I am happy with the On Cloud running shoes and would recommend them! 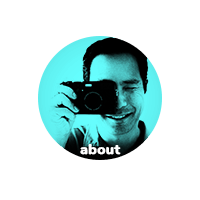 I switched to minimalist running shoes (Nike Free Run) over two years ago, and have seen a dramatic reduction in the pain I used to feel, and recovery time is reduced to overnight. I’m running four or five times a week, a bit over 4 miles per run, and so far (knock wood) no serious injury nor pain. I’m going to check out these On Cloud shoes to see if I like them – I hate that Nike keeps changing their styles every year or two. Just when I find shoes which are comfortable they change them, and when I wrote Nike and asked them why they do that, their response was “We have to stay up on current trends and innovations.” Nice marketing spin, but unless I want to buy five pairs at a time, I’m stuck having to live with different “innovations” every year or so. Congrats on all your running, and hope I see you soon Barron. I remember reading about your Nike Free shoes on your blog. In fact, that was the main motivation for me to research minimalist shoes and buy the Clouds. I have found that I’ve been able to recover quickly as well and am upping the distance on each run. So far I am loving the new shoes!